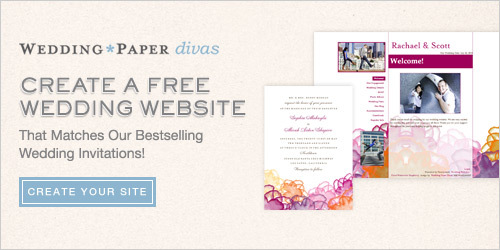 10 Free Wedding Invitations from Wedding Paper Divas. The wedding bells are ringing...in your head. The big day is getting closer and closer. This is an exciting time indeed and I've got something to make it ever more exciting...Free invitations from Wedding Paper Divas. 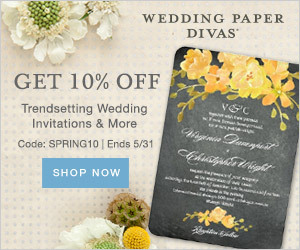 For one week only, you can get 10 FREE wedding invitations. Just pay $4.50 for shipping. That's less than 50 cents per invite. You can choose from nearly 800 designs and you can personalize the invitations with pictures, your own text, and much more! 10 Free Graduation Invitations and Announcements. Check out their designs and make sure to use the code GRAD2013 at checkout to get the cards for free. You only have to pay for shipping, which starts at $4.50. You can get them faster, of course, with the priority shipping options. 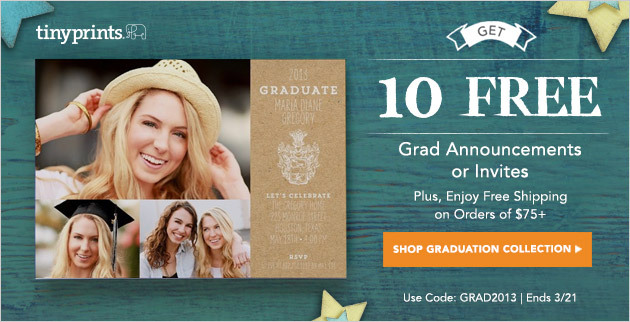 Save big on graduation announcements and invitations! From now through 03/12/2013, save 15% off gift orders of $49 or more or 20% off orders of $99 or more using the code 20MARGIFT at checkout. Offer expires 3/12/13 at 11:59 pm (PT). From now through 03/12/2013, save 20% off business cards using the code 20MARBIZ at checkout. There is no minimum purchase required for this promotion. 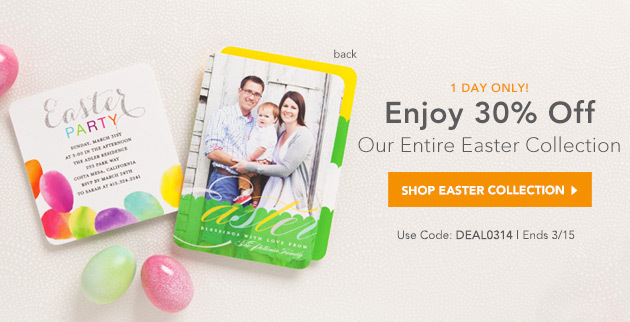 Offer expires 3/12/13 at 11:59 pm (PT). Between now and next Tuesday, March 12, you can get 25% your entire order. That's Save the Date cards or magnets, wedding invitations, bridal shower invites, you name it. All of it is 25% off. Check them out today and use the code ANNIV13 to save 25% on your entire order. Offer expires 03/12/13 at 11:59 pm (PT).